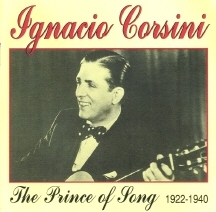 Excellent compilation of this fine, underrated tango singer. Accompanied on all except one title (Roberto Firpo's Orchestra) by two or three guitarists. Highly popular, and rightly so, in his day.